It’s always nice to see one’s work turn up on review websites, but even I was surprised to see my ‘paw-print tiles’ turn up on a home-interiors publication in America. 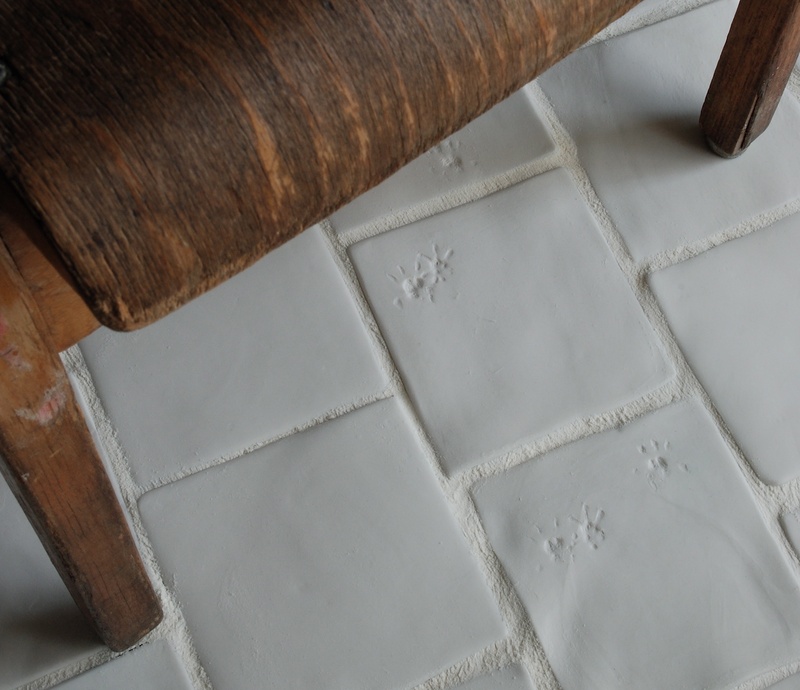 My paw-print tiles were designed when I was working a while ago with a rat (a real rat). I encouraged him to run across some wet clay, and the tiles were the result. They’re intended for bathroom or kitchen floors. I even extended the idea to make it open to commission. Some pet-owners liked the idea so much that they want to get me to work with their cats (for example) to produce personalised tiles. I enjoy working with animals so I find creating this product a great deal of fun. And now the Remodelista site has come across this work (I don’t know how!) and written a very favourable review. Thank you, Remodelista.